Happy Tuesday, I hope your fake Monday has been going ok.
Today I have a new to me brand called eighty4. I was provided six polishes for review and I have all of them here for you to see. First up is Slate. The name pretty much sums up this polish. It is a pretty shade of dark slate grey. This is three coats of Slate with a topcoat of Poshe. Next is Zuzu Blu. You guys! This blue is so amazing brilliant. I put some glitter on this for a full mani and it was electric. It was like it was glowing. The second picture is it under florescent lighting with the glitter. This is also three coats with Poshe. This pale green/yellow is called Pale Leaf. It's hard to describe, to me it looked pale pale green OR yellow. Either way it was a nice pastel neon. This was a three coater with Poshe on top. As typical with almost every single yellow out there, it was streaky to start out. But I feel I got it to work out perfectly. Up next is January. The site lists this as a white pearl with a hint of yellow and I'd say that was a pretty perfect way to describe it. I couldn't help but try and see what it looked like layered over another color. As you can see on it's own it's pretty sheer so I would recommend using undies. These are topped with Poshe as well. If you are looking for a nice pastel neon pink then pick this one up. Three coats topped with Poshe. Lastly is my surprise favorite. Formal Affair. I usually don't fall in love with red polishes. The site says this is a bright pearl red. This was all around a perfect polish. I wore it as a full mani and it was just so nice. 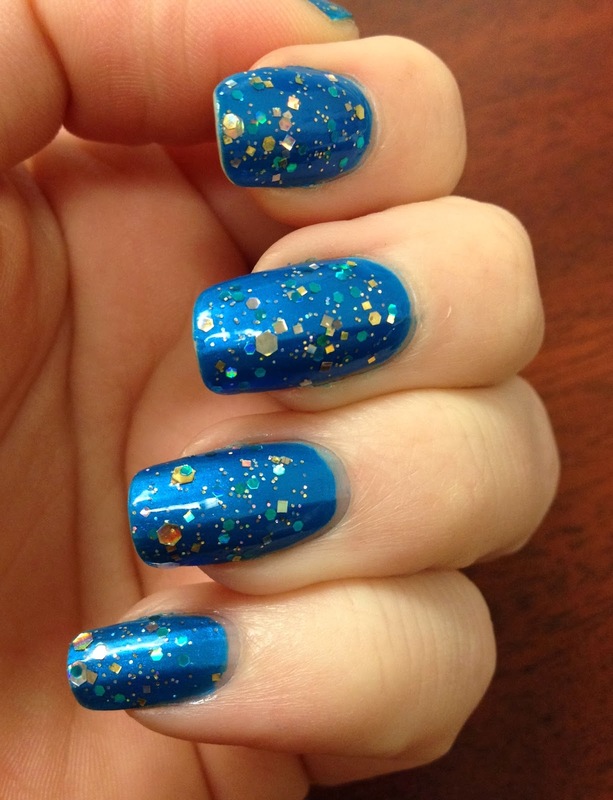 Three coats with Poshe on top completed this mani. All in all I was very impressed with these polishes, I would not be opposed to picking up some more colors myself. Awww yay! Thanks so much for reviewing our polishes. We loooove love LOVE the images you provided as well! That pink is sooooo pretty! And that grey - wow. Can't resist a good dark grey.